Finally, the fabled day is almost upon us: come September 28, Amnesia: Collection will be on Xbox One, enabling fans of said console to experience the entire trilogy (Amnesia: The Dark Descent, Amnesia: A Machine for Pigs, and Justine). But that’s not all we’ll be getting on the 28th, as Frictional Games has an extra little treat in store for players on both Xbox and PC. 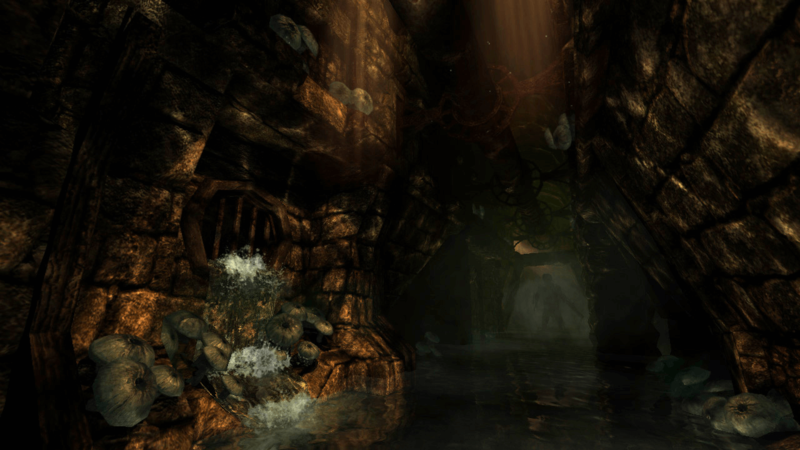 Now, while the developer hasn’t done a lot with Amnesia: The Dark Descent in recent years – aside from releasing it on PlayStation 4 – fans have done their best to keep that particular title alive and well through custom stories (of which I do plan on covering more, time willing). In less than a week that’s going to change though, with the Xbox One version launching and… Hard Mode. A brand new difficulty/mode, only for the most determined players; definitely not for newcomers as it sounds absolutely brutal. I mean, remember the tinderboxes, those things you’d use to light up dark places? Well, Hard Mode disables autosaving and saving manually uses 4 tinderboxes. Ouch. Or how about madness actually being deadly, as sanity dropping to zero will result in a game over? Oh, and levels will be different too, less oil and fewer tinderboxes scattered throughout. In case all that’s not enough, enemies move faster, will be competent in their ability to spot you, hit like trucks and are far more persistent, not leaving until the job is done. No ‘monster(s) nearby’ music either. So yeah, brutal. Absolutely brutal. Note that this is only for Amnesia: The Dark Descent – not A Machine for Pigs or Justine – and those interested in achievements/trophies will be glad to know clearing the game on Hard Mode rewards one such, appropriately named, Masochist (“Because, you know, you pretty much have to be one to complete the mode.”) That is to say, only achievements for now, the PlayStation 4 version of Hard Mode still unfinished, scheduled for the end of 2018. As for why Frictional Games even considered something like this, well… a year ago, SOMA got a mode that allowed players to explore Pathos-II “in relative peace”. A lovely addition if you ask me, and the feedback was so positive that they decided to create the exact opposite for Amnesia: The Dark Descent (wait, what?). Although unlike SOMA‘s Safe Mode, I will not be making use of this addition, Amnesia: The Dark Descent already more than scary enough. Best of luck to those brave enough, though.